Heat Pump 101: How Does It Work? A heat pump can heat or cool your Mount Pleasant, Texas, home. While it costs more than an air conditioner, it’ll usually last longer. It can also help you reduce your utility bills, get rid of excess noise, and take up less space than a furnace and an air conditioning unit. A heat pump transfers heat to your home to keep you warm in winter and transfers it away in summer to cool you down. Read on to learn more how a heat pump works. In summer, a heat pump works like an air conditioner. A fan will pull warm air from your home into one or more return vents. Then, the air will pass through your ductwork to your heat pump’s indoor air handler. An evaporator coil in the air handler will absorb heat. The cool air will the travel back into your ductwork and reach all the rooms in your home through your vents or air registers. The evaporator coil fills with refrigerant, a chemical that transfers heat. After the refrigerant absorbs heat from the warmer air around your evaporator coil, a compressor moves it to the outdoor condenser. As it condenses into a liquid through high pressure, its temperature lowers, and it releases heat into your outdoor air. Then, the compressor moves the refrigerant back to the indoor evaporator coil. It absorbs heat while becoming a gas, and the cycle starts again. In winter, your heat pump will reverse the direction that your refrigerant flows. When you turn on your HVAC system’s fan, you’ll receive warm instead of cold air. Using a heat pump can dehumidify your indoor air in winter. If the air in your home feels too dry, an inexpensive portable humidifier can make you more comfortable. Since the climate in Texas doesn’t get too cold, it’s worth considering a heat pump as a heating option. Wood Air Conditioning, Inc. has decades of heating and cooling experience. We can help you with maintaining, repairing and installing a variety of equipment, including heat pumps. 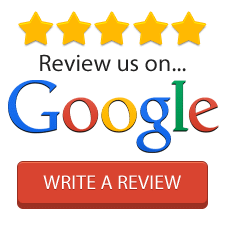 For excellent service, call us anytime at 903-285-6550. Should You Upgrade Your HVAC System Before You Sell Your Home?